Baculovirus Expression Kit - baculoCOMPLETE has it all!Oxford Expression Technologies Baculovirus Expression Kit - baculoCOMPLETE has it all! baculoCOMPLETE is the only all-in-one baculovirus expression kit that provides everything you need to get started with recombinant baculovirus protein expression. 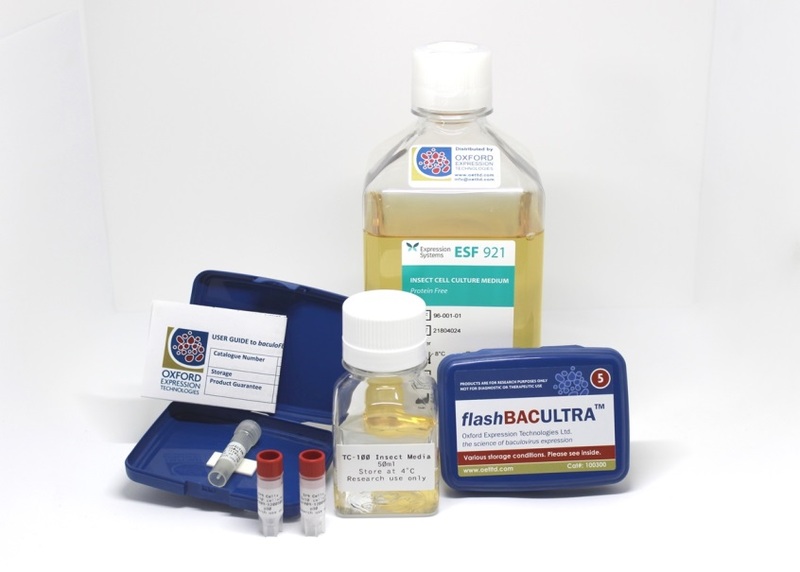 Whether you're new to the baculovirus expression system or are looking to make the transition to OET's superior flashBAC™ technolgy, baculoCOMPLETE is the perfect choice. We also offer baculoCOMPLETE as part of a package with baculoQUANT All-In-One virus titration kit so that you can conveniently carry out recombinant virus production and quantification in one go.